Last semester, Google returned to Penn’s campus to host a special M&T event for their Associate Product Manager Program. As a freshman, I’m still undecided about my career path, so I wanted to attend this event in order to explore my options. The event started with the chance to interact with two current APMs at Google to learn more about the work culture and was followed by a more formal talk about the program specifics and tips and tricks for applying. Google’s APM Program is a two-year program in which rising juniors design and launch a product. Not only do interns lead engineers, but they also oversee marketing and finance teams to develop a product vision and mission. The problem solving and hard working skill sets of M&Ts fit perfectly with the characteristics looked for in the APM program. At the end of the first year, APMs take a two-week international trip to learn about how people use technology in different parts of the world. Following the trip, they begin the process again for a second year. The program is intended for students who are interested in technology, but do not necessarily want to take a coding-specific role. At the end of the talk, the speakers discussed potential interview questions and tips for securing a spot in the APM Program. Besides the standard questions about work experience and passion, they tend to ask questions to gauge your thought process. First is a Fermi problem, or an estimation challenge, and the second is a design challenge. For example, a previous question was to design an app for the Louvre, while considering usefulness and practicality. Although the event was designed for juniors, I believe it provided exposure for both myself and other underclassmen about the opportunities available within the tech field following graduation. Krishna, from Fremont, California, is a member of the M&T Class of 2018. 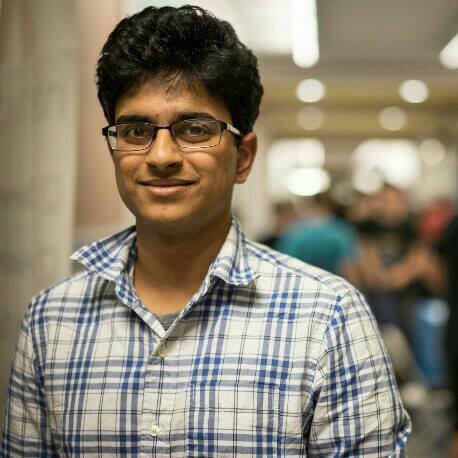 He is interested in studying Computer Science within Penn Engineering and has yet to declare his concentration in the Wharton School.